One speciality of our machines is the production of cups. Thermoforming machines from GABLER are ideally suitable for all sizes of cups and shapes and offer a whole range of advantages for cup production. Value added you will feel. Our thermoformers reach an extremely even plastic spread for the whole cup. 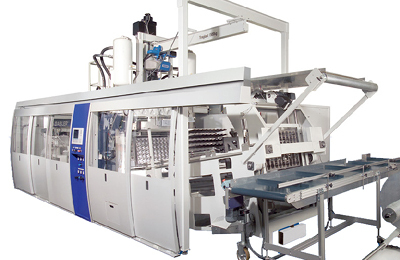 Our machines are easily able to produce thin-walled cups. Your cups can be exactly produced in the form you wish thanks to the high precision of our technology. Depending on the model, our machines achieve an output capacity of up to 180,000 cups per hour. Be it the large-series production of cups, the customised manufacture of specific types of cups in small series or the production of a high number of different cups – you have the wide choice with our machines. The convincing characteristics of the M-LINE feature high productivity, innovative drive technology, high stability and simple operation. On an ongoing basis, we have continuously developed the stacking system in particular. 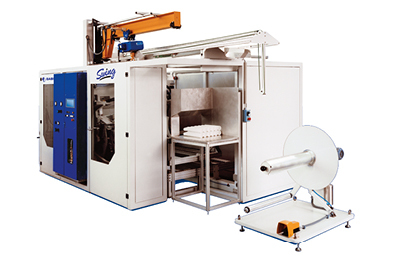 Uniquely compact and fast tool-changing capacity: the GABLER SWING is recommended for all customers looking for a both compact and flexible automatic thermoformer for applications in the production of cups. 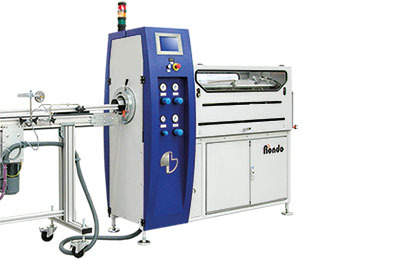 In our range, we have the right additional components for cup production: for crimpling cups, for pre-heating PP foils, for cooling tools, for separate punching, for granulating punching cut-offs or the automatic roll changer.